"Ultrasound of spleen and left kidney−Patient lying on back head to left. a. spleen b. left kidney Ultrasound imaging, also called ultrasound scanning or sonography, involves exposing part of the body to high-frequency sound waves to produce pictures of the inside of the body. Ultrasound examinations do not use ionizing radiation (as used in x-rays). Because ultrasound images are captured in real-time, they can show the structure and movement of the body's internal organs, as well as blood flowing through blood vessels." 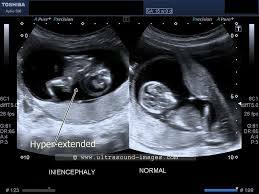 "Ultrasound imaging is a noninvasive medical test that helps physicians diagnose and treat medical conditions. A Doppler ultrasound study may be part of an abdominal ultrasound examination. Doppler ultrasound is a special ultrasound technique that evaluates blood flow through a blood vessel, including the body's major arteries and veins in the abdomen, arms, legs and neck. 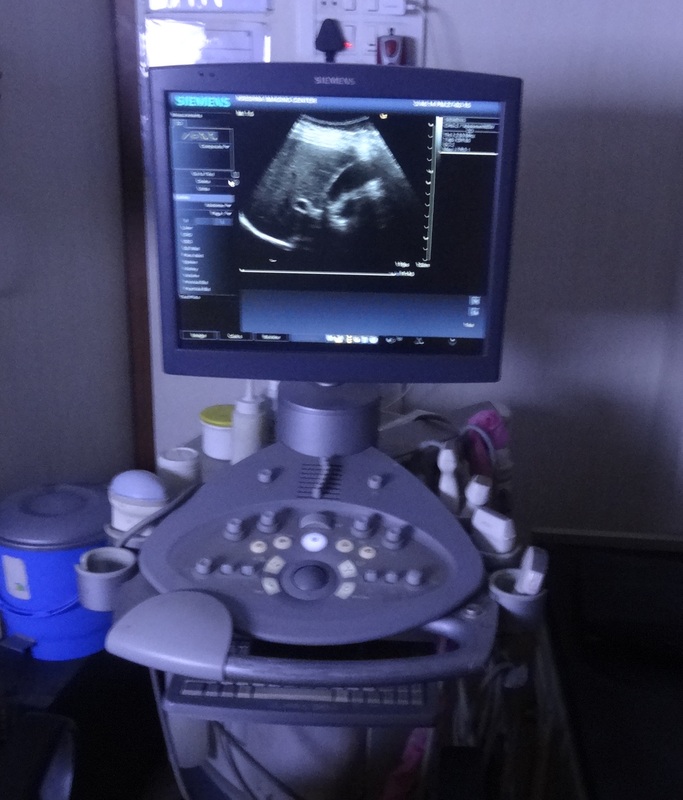 Ultrasound: Gallbladder Abdominal ultrasound imaging is performed to evaluate the : Kidneys, Liver, Gallbladder, Pancreas, Spleen, Abdominal aorta." "Ultrasound waves are disrupted by air or gas; therefore ultrasound is not an ideal imaging technique for air-filled bowel or organs obscured by the bowel. In most cases, barium exams, CT scanning, and MRI are the methods of choice in this setting. Large patients are more difficult to image by ultrasound because greater amounts of tissue attenuates (weakens) the sound waves as they pass deeper into the body." "Ultrasound waves are disrupted by air or gas; therefore ultrasound is not an ideal imaging technique for air-filled bowel or organs obscured by the bowel. 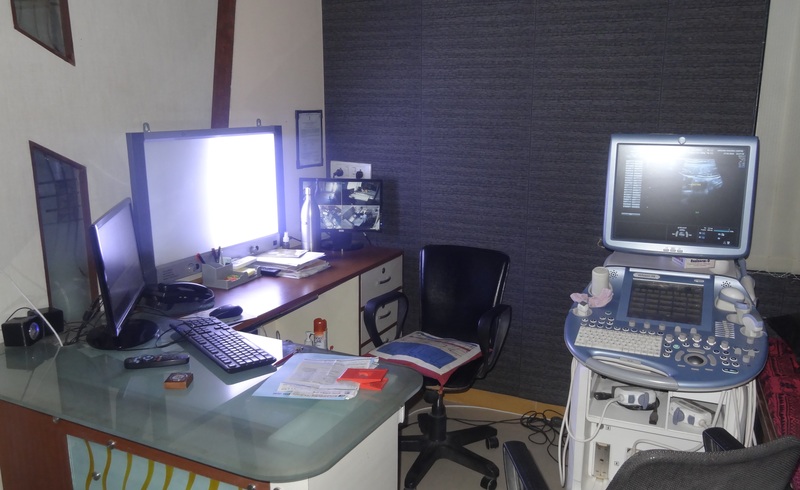 In most cases, barium exams, CT scanning, and MRI are the methods of choice in this setting. Large patients are more difficult to image by ultrasound because greater amounts of tissue attenuates (weakens) the sound waves as they pass deeper into the body. " "Ultrasound images of the hip provide pictures of muscles, tendons, ligaments, joints and soft tissues of the hip. In infants, the hip (which has a ball and cup configuration) is composed mainly of cartilage and is easily recognized on ultrasound. 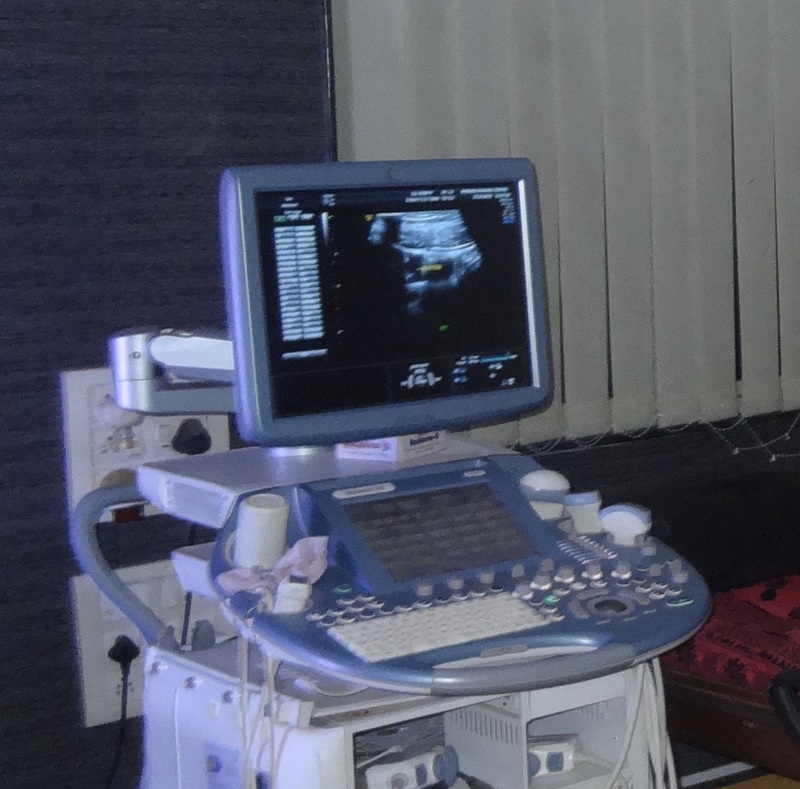 Ultrasound imaging, also called ultrasound scanning or sonography, involves exposing part of the body to high-frequency sound waves to produce pictures of the inside of the body." "Ultrasound examinations do not use ionizing radiation (as used in x-rays). Because ultrasound images are captured in real-time, they can show the structure and movement of the body's internal organs, as well as blood flowing through blood vessels. 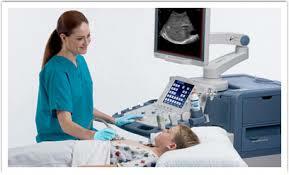 Ultrasound imaging is a noninvasive medical test that helps physicians diagnose and treat medical conditions. " "Ultrasound has difficulty penetrating bone and, therefore, can only see the outer surface of bony structures and not what lies within (except in infants). 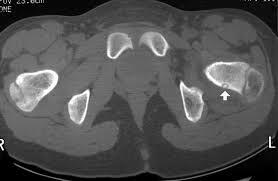 For visualizing internal structure of bones or certain joints, other imaging modalities such as MRI are typically used." 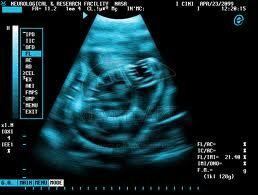 "Ultrasound imaging is a noninvasive medical test that helps physicians diagnose and treat medical conditions. Ultrasound of benign cyst. A cyst is a non-cancerous fluid-filled structure in the breast. 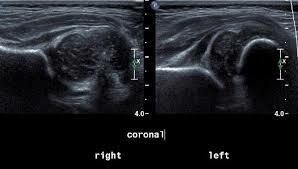 Ultrasound is necessary to make the diagnosis. 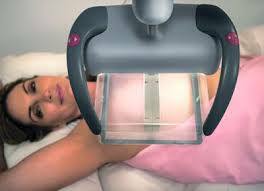 Ultrasound imaging of the breast produces a picture of the internal structures of the breast. Doppler ultrasound is a special ultrasound technique that evaluates blood flow through a blood vessel, including the body's major arteries and veins in the abdomen, arms, legs and neck. " "Ultrasound is one of the tools used in breast imaging, but it does not replace annual mammography and careful clinical breast examination. 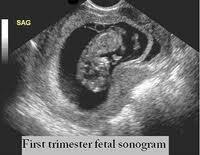 Many cancers are not visible on ultrasound. Biopsy may be recommended to determine if a suspicious abnormality is cancer or not. Most suspicious findings on ultrasound that require biopsy are not cancers. Many calcifications seen on mammography cannot be seen on ultrasound. 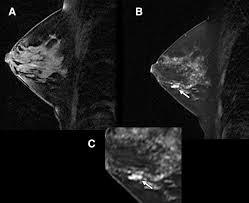 Some early breast cancers only show up as calcifications on mammography. MRI findings that are due to cancer are not always seen with ultrasound."